Avail from us, Dentist Stools that are made from premium material to ensure that the stools meet set quality standards & norms. These Dentist Stools are known for their superior quality and durability. 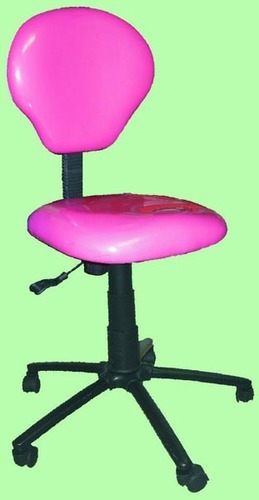 Further, we offer Dentist Stools in different colors. Our organisation, Hospiteknik Healthcare was incepted in 1973 and established in 2009 at Hauz Khas, New Delhi, India. We are prominently recognised firm for manufacturer, exporter, wholesaler and retailer of a wide assortment of Hospital Equipments & Surgical Disposables. Only the quality tested standard raw materials for manufacture of our products is used so that our final products easily meet the International Standards Specifications for all the parameters. Some of our range includes Hospital Beds, Medical Stools, Hospital Trolleys and Disposable Urine Bags. In order to cater specific demands of our reputed clients, we are equipped with a large infrastructure unit with all ultra modern machineries and facilities. We have a highly efficient team of professionals and skilled workmen which carry out the processes of production and quality control effectively. We also remain inclined for effecting on time delivery to clients. Due to our quality products we have attended huge clientele all across the globe.